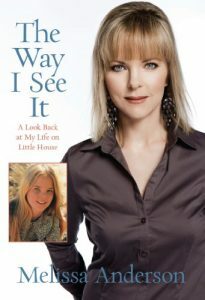 I enjoyed this memoir by Melissa Anderson (Melissa Sue or Mary on Little House on the Prairie). It is decently written, and she does a fine job describing how she got on the cast of Little House and what the overall experience was like to be on a popular TV show like that. She matter-of-factly shares some fun behind-the-scenes stories that are entertaining and reveal more about the cast and life on set. She also traces her career and mentions other projects she worked on over the years, though mostly she talks about Little House. I’ve not followed her career beyond Little House and wasn’t really interested in anything beyond that. She doesn’t glorify her past indiscretions and sexual exploits, if she even experienced them. Her book is a contrast to Melissa Gilbert Prairie Tale, which spends too many words on her salacious scandals and other intimate details I didn’t care to know about. Anderson appears to be a good Catholic girl and has apparently lived a moral lifestyle. I found myself admiring her, though the part about her glorifying Obama could have been left out. I enjoyed the screenplay format at the start of some chapters. I’ve always wondered what a script must have looked like for those on Little House. This feature gives an inside view of what those scripts must have looked like. That was a wise choice. Her honesty was refreshing; in other words, she doesn’t describe every Little House experience with rose-colored glasses. She is pretty frank about Michael Landon in a few places, and he wasn’t exactly Charles Ingalls in real life. In fact, he could be cruel, controlling, and petty; for example, he mistreated a man on the crew who stuttered. Once Anderson caught him smoking a joint, and he smoked and drank frequently. But she also had some great moment with him, and he was also very kind and family oriented. He and Karen Grassle (Ma) didn’t always get along as well as they appeared on camera, and there was sometimes tension on set. He also had an affair with Melissa’s double, and she discusses how the situation negatively affected her relationship with the woman and the atmosphere on set. She is also frank about other members of the cast, including Melissa Gilbert. She has mostly positive things to say and doesn’t say she disliked Gilbert, though online chatter suggests that they didn’t care for each other while on the show. She tells one story about her and Gilbert going to a birthday party for Michael Landon’s daughter Leslie that isn’t especially flattering for Gilbert. I admire the fact that once she got married and had kids, she pretty much put show business on the back burner to focus on her role as wife and mom. I like the fact that she made motherhood a priority and talks often about her children and the importance of being there for them. Once she mentions watching a Little House rerun and admitting that it made her think about her relationship with her daughter and realize she sometimes may have been too hard on her. She appears to be a decent parent. There were also a few things I didn’t like or found puzzling. Anderson says very little about her family beyond mentioning that her mom took her to auditions, which led to her getting the role of Mary. (There’s a fun story about how she and her mom bumped into “Mike” Landon for the first time.) Where is her father? Or really anybody else in her family? Perhaps she simply desired family privacy, but if they played any roles of importance in her life, she left that part out. Throughout the book, Anderson chronologically details Little House episodes in which she had a primary role. Some Amazon reviewers criticized her descriptions of these episodes, because they weren’t looking for a blow-by-blow account of episodes they were already familiar with. Sometimes Melissa mentions a certain event or detail (funny or embarrassing) associated with the filming of a certain episode, and I enjoyed those parts. In some cases, though, she simply describes the episode and says very little about what she thought of it. No emotion or reflection. So in some cases, the criticism is valid. Her coverage of Little House episodes is inconsistent. I found it odd, for example, that she didn’t say anything about the episode called “Whisper Country” (Season 4). Because she describes so many episodes in which she played a major role, I found it odd that this one was missing. Why say nothing about it? Maybe she hated that one. She apparently enjoyed filming “Four Eyes” but had plot concerns when Landon filmed the episode (“May We Make Them Proud”) in which her baby dies during the blind school fire. She felt some details were unbelievable, and her candor is refreshing. I’ve often wondered what actors and actresses think when they have to do something on camera they don’t necessarily agree with. I found her to be a bit whiny regarding Michael Landon’s decision for her character, Mary, to go blind. After all, the real Mary Ingalls went blind, and surely Melissa, who said she’d read all the Little House books, must have suspected this part of her character’s story would come up eventually. Thankfully, she points out the positives in this situation, including the fact that the episodes about her going blind were among the highest rated ones in the entire series. She was also nominated for an Emmy Award for her skill in depicting a blind woman, so this part of her experience on the show, in spite of her initial disappointment, was certainly advantageous to her career and her notoriety. Later in the series, however, she admits frankly that the show’s writers struggled to know what to do with her as a blind woman, and she felt that her contributions to episodes eventually became minimal if not mostly nonexistent. This lack of screen time eventually led to her decision to leave the show, and writers wrote her out of the series. That was a sad loss for Little House, in my opinion. By then, the show was on its way out anyhow. Overall, this was an easy, enjoyable, and clean read. I grew up watching and enjoying Little House, and I always wondered what the filming process must have been like for those on the show. I admit that though Little House was mostly clean, plots often depended on moralistic lessons void of biblical grounding and situation ethics (rationalizing the telling of lies due to a good outcome). When our family watches Little House, I sometimes hit the pause and talk about the ethical problems in the story; the analysis doesn’t, however, detract from the enjoyment of the show. Anderson could have provided more details about some aspects of the actual acting and filming process, but her descriptions were sufficient to satisfy my curiosity. I especially liked little details, such as her addiction to a certain soda on set and how hot she and Melissa Gilbert became when wearing the long dresses in the hot California sunshine. She also suffered whiplash while running down the hill during the show’s opening credits filming (she fell). There are lots of tidbits that made for interesting and enjoyable reading. Don’t read this book looking for any grand or deep philosophy about life or a commentary on the TV industry, though Anderson does point out the problems associated with child stars. This is mostly a casual and light-hearted survey of her TV career with Little House highlights. The book was clean of foul language. I recommend it. I looked at this book once but was put off by some of the negative reviews. I am glad it has some positives, too. I’m glad she turned out so stable, unlike so many child stars. I feel bad for many of them thrust into the spotlight and the negative effects of fame.